The Everlon diamond knot collection is the perfect symbol for the beauty and strength of the love that you share. 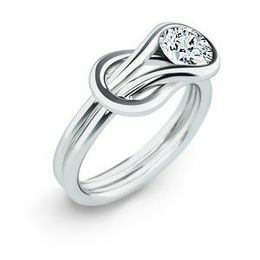 This gorgeous Everlon ring is set in sterling silver with a 1/4 carat diamond set in the heart of a Hercules knot. Show the strength of love forged in a knot with a beautiful ring from Everlon diamond knot jewelery.